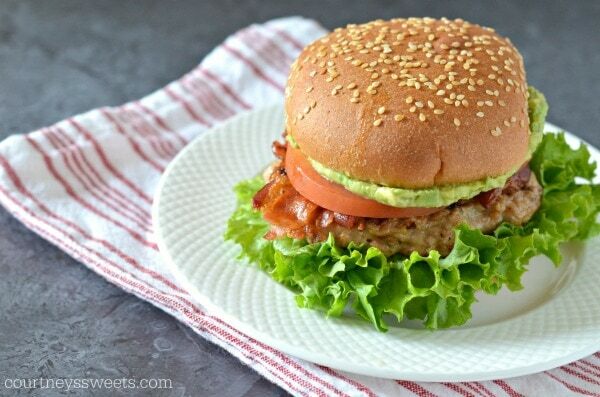 The best grilled chicken burger recipe, sure to please any picky eaters. 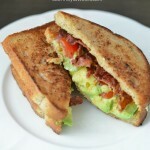 Topped with bacon, avocado, crisp green leaf lettuce, and juicy jersey tomatoes. This burger.. it’s incredible. Want to know my biggest pet peeve about burgers? When they taste like meatloaf. 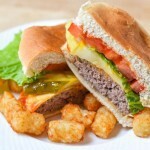 I hate a burger with added things like breadcrumbs, eggs, and milk.. 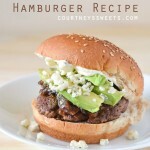 Seriously.. meatloaf is good but if you’re going to call it a burger.. don’t. Whenever I make a ground beef burger or even a chicken burger I just lightly season them. For beef I do simple salt and pepper, but I get a little more spicy with the chicken. 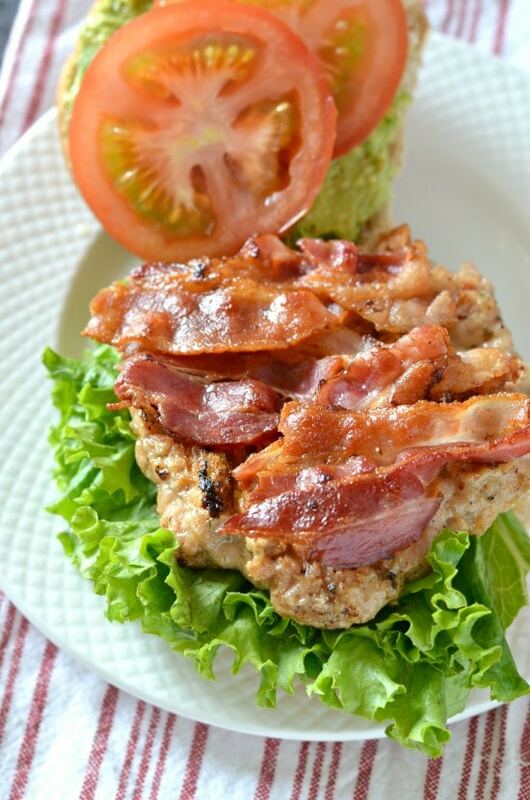 The chicken doesn’t have all that fat to flavor so I love to add things like bacon and avocado to really make it a big flavor punch! The fresh ingredients really shine through too – like these beautiful local tomatoes I bought. Not to mention crispy and beautiful green leaf lettuce. 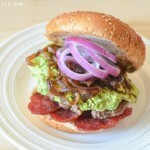 There’s never enough toppings on a burger for me and I just love making them at home. Now that it’s summer, Chris and I really enjoy grilling too. 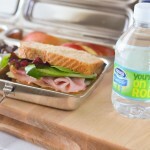 I don’t like to eat too much beef and thankfully we really enjoy chicken burgers too! The only downfall is Chicken is still one of Kay’s triggers with her FPIES food allergy. We’re hoping to trial Turkey by August! 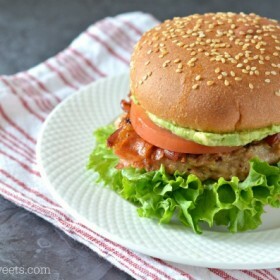 Grilled Chicken Burgers are so easy to make and you'll love this Chicken BLT Burger! Mix together the chicken and seasonings, then form into 4 patties. 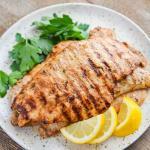 Place on a hot grill and cook 6-9 minutes on each side. Be sure to cook thoroughly, no raw chicken please! While the burgers are cooking, place some bacon in a pan or even the oven. Cook until crispy. 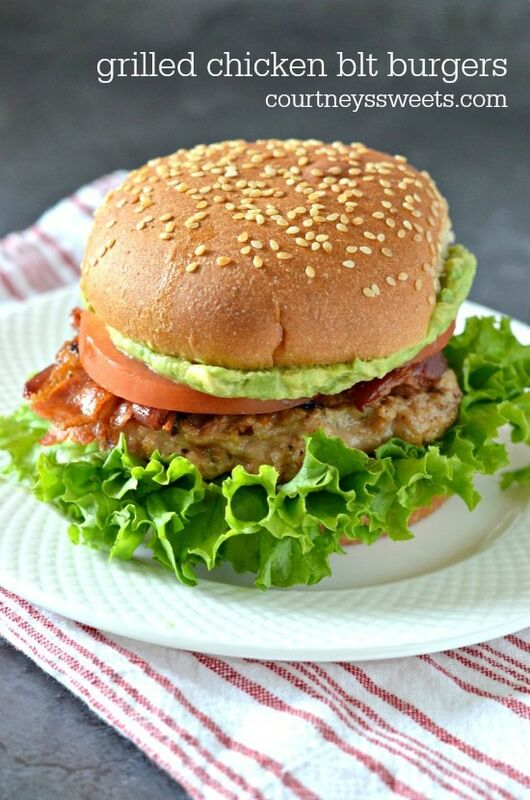 Place the burgers on a bun with 2 slices of bacon each, a spoonful of avocado, slices of tomato and beautiful green leaf lettuce. Enjoy!